Robert Greenhill Cochrane graduated from the University in 1924 and MD in 1928, and became an esteemed leprologist. Cochrane was born in Pei-Tei-Ho, China, son of medical missionary Thomas Cochrane, a founding member of the Peking Union Medical College. The family were captured briefly by the Boxers, and Cochrane was sent to the London Missionary Society's School for the Sons of Missionaries (now Eltham College), London. Cochrane enrolled at the University in the summer session of 1919 to study Medicine together with his brother, Edgar. That session, they were both awarded a second class certificate in Systematic Chemistry under lecturer John Knox. Cochrane went on to graduate MB ChB in 1924. After working at St Bartholomew’s Hospital in London, and obtaining the Diploma in Tropical Medicine, Cochrane went to India as a medical missionary under the Mission to Lepers (now The Leprosy Mission) where he worked under leprologist, Dr Ernst Muir, Head of the Department of Leprosy at the Calcutta Medical School and Hospital. He went on to practice at Purulia and Banjura, West Bengal, and contribute to a world survey of leprosy. 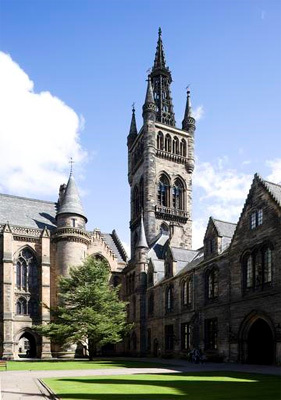 Cochrane returned to the University of Glasgow where he obtained the MD degree in 1928, and was admitted Member of the Royal College of Physicians of London. From 1929-35 he was Medical and General Secretary of the British Empire Leprosy Relief Association, traveling extensively in Africa and the West Indies. He became the first Secretary-Treasurer of the International Leprosy Association in 1931 and went on to become Emeritus President in 1968. In 1932 Cochrane returned to India where he undertook various advisory, academic and medical appointments in Madras. Cochrane again worked in Britain from 1951, but returned to India in 1966, working in Madras State, before going on to Kola Ndoto in Tanzania under the Africa Inland Mission. Cochrane was credited with bringing the disease into the mainstream of medicine and altering public attitudes, which led to the re-designation as Hansen's disease. He also co-authored the standard text, Leprosy in Theory and Practice and was the first to use the parent sulphone (dapsone, or DDS) orally to treat leprosy patients. It was Cochrane's exemplary life-service in India that saw him awarded the Kaiser-i-Hind Medal, first class, and afforded him friendship among India's political leaders, as Gandhi. In the UK, there is the Cochrane Annexe at the Slade Hospital, Headington, and the Robert Cochrane Fund for Leprosy, administered by the Royal Society of Tropical Medicine and Hygiene.